From the inception of SARS in Nigeria, it is no news that they have continuously harassed innocent citizens, applying highhandedness and extremism in dealing with trivial issues and have even been accused of extra-judicial killings all in the name of discharging their duties. This has led to calls from all quarters for the immediate end of the Special squad giving rise to the hashtags #EndSARS, an intense online campaign which translated into street protests in different parts of the country that lead to the presidential order to immediately overhaul the modus operandi of the Special Anti-Robbery Squad (SARS), by Vice President Yemi Osinbajo. In spite of the ongoing overhauling process carried out within the force, the FSARS appears to also need a personnel overhaul as they have not in any way relented in what looks like a resolve to continually maim innocent citizens. This is as information made available to SecretReporters reveals that a young man, Mr Nlemeke Chinedu Christian who was arrested by FSARS officers was shot on his right foot over an allegation that he was involved in a kidnap case a month ago in his home town of Unanma, Okwuabala Orlu, Imo State. In what appears to be a usual practice of FSARS to hang their suspects before they are convicted by most times torturing or in some cases shooting them on their foot, upon arrest it was alleged that FSARS operatives resorted to intimating Mr Chinedu’s family members and lawyers who came to see the accused. Also fully aware of the fact that the accused was shot on the right foot, the callous security operatives refused to treat his wounds which has led to decay of the bullet ridden foot, a situation which prompted the family through their lawyer to petition SARS and the Inspector General of Police IGP to allow them treat the accused and also charge him to court according to law. This plea however fell on deaf ears as the family were denied access to the accused neither has the matter been charged to court till date. This online news medium also gathered that since the arrest of the accused, the family who have been denied access to him and the location where he is been reprimanded, on Friday 31st, August 2018 however, got an information that he was at the police headquarters Owerri, on rushing to the said location they were disappointed to discovered that the accused was not there and no record of him was found in the station register. With the matter unfortunately developing into a case of sudden disappearance of the accused Mr Nlemeke Chinedu Christian and the outright infringement of his rights, the family wrote to the National Human Right Commission Owerri who immediately sent a lawyer to accompany the family to the police headquarters. 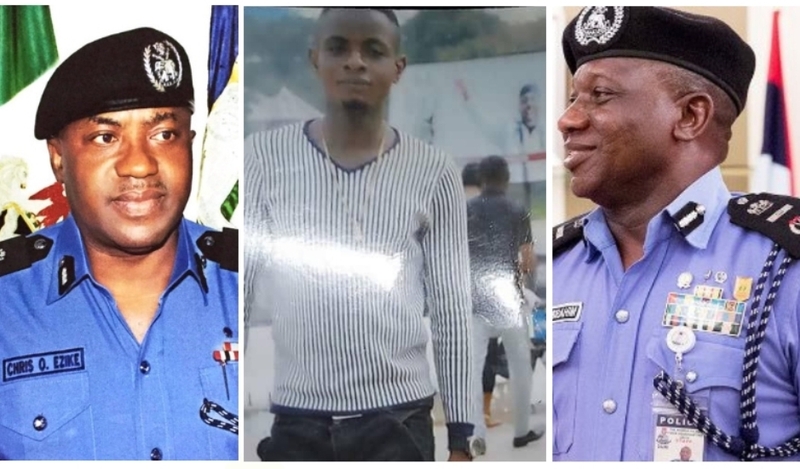 Howbeit on reaching the station they were tossed to and fro like a tennis ball as they were informed that he has been transferred to Akokwa police station, on arrival at the Akokwa police station they were told that he has been taken back to Owerri. Surprisingly on returning back to the Owerri police station, the SARS operatives with impunity harassed both the family and lawyer and issued stern warnings and threats to the duo never to return to the station to ask of their brother. There are speculations from the family and some quarters that the accused who was framed by FSARS is either dead or the operatives have something up their sleeves as the family discovered that no IPO was assigned to his case, and there was no record of their brother at the Imo police command headquarters and Nigeria Prisons Service Imo State Command hence their inability to charge him to court or explain the sudden disappearance of Mr Nlemeke Chinedu in their custody as other suspects who were arrested with him have been released. It will be recalled that according to the 1999 constitution as amended, “nobody should be remanded in police custody beyond 24 hours without being charged to court”. This amongst other reason prompted Vice President Yemi Osinbajo to order the immediate overhaul of the squad and for all those detained unlawfully to be charged to court or otherwise be released.